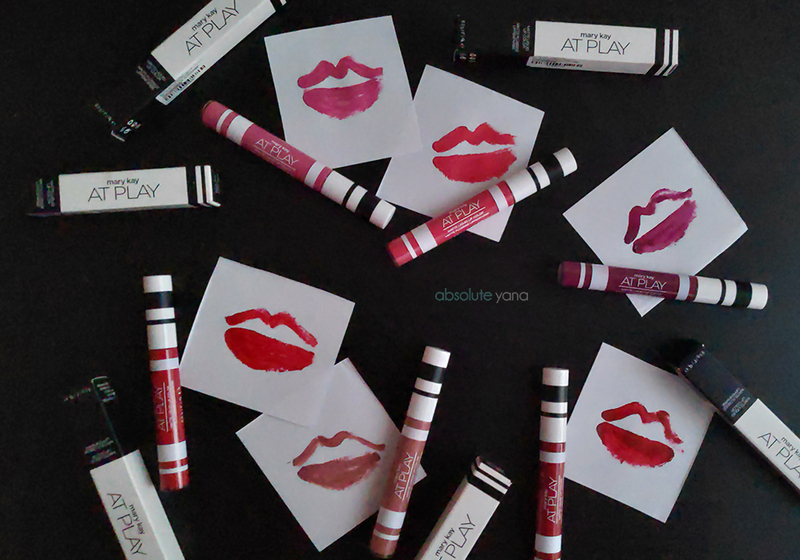 I am going to start this off with a high pitch voice screaming "I f*cking love Mary Kay At Play matte lipsticks!" This is the first time ever I'm trying on a matte lipstick that feels like air (nothing) on my lips! I kid you not, when I swatched it for the first time, my first thoughts were "Painting water on my lips"
The brilliant part of this product? Despite the airiness of the product, the colours are simply amaaaaazing~~~~~ forget about adding layers! A single swipe/dip of product is more than enough to bring out the bold side of you. And I am not talking about similar shades of red either; Mary Kay At Play matte lipsticks comes in 6 absolutely stunning vivid colours. Okay, so this product claims that it is long lasting and controls shine up to about 8 hours; let's face it, we are Malaysians, when have we ever passed 8 hours without eating right? So unless, you are not going to eat in the next 8 hours after applying the Mary Kay At Play matte lipstick, this product does exactly what it claims. I wore my fav colour, Vivid Violet, out of the bunch, and went to IOI City Mall Putrajaya last weekend. For four hours straight, my lips were beaming with vividness and obviously there wasn't a single sign of oiliness seeping through. Of course, after that four hours, I was hungry and I ate Auntie Anne's Large Cheese Pretzel Dog, because the food was oily...so my liptstick came off, especially the center part of the lips. So yes, it does come off when in contact with oil based products. But! There's more... With this Mary Kay At Play matte lipsticks, you can actually kiss your lover up without worrying that it would stain his/her face. Because I literally tried kissing my hand ( I am single...so yea...kissing my hand is the only action of love that I am going to get ) multiple times, and the matte lipstick just wouldn't budge off my lips. Okay, it probably won't work the same if you are French kissing...FYI. 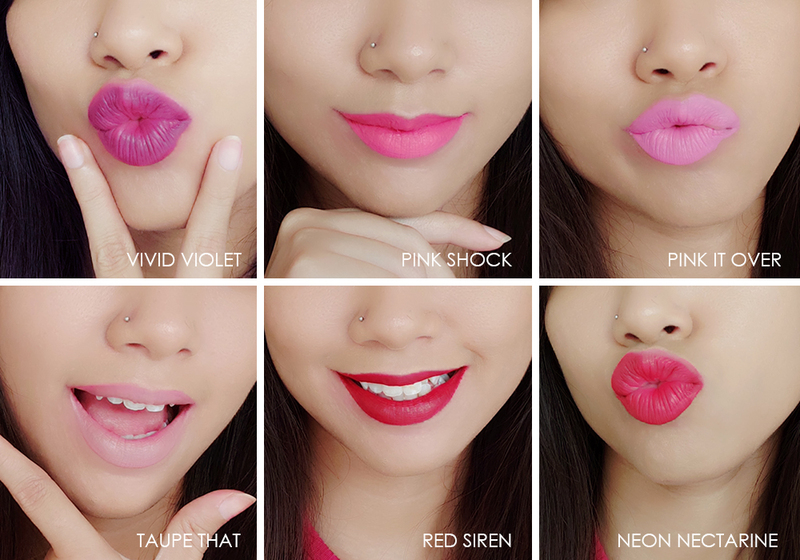 If you are thinking that Mary Kay At Play matte lipstick is only offering great texture, awesome colours and excellent resistance....think again! All these awesomeness are available for an absolutely affordable price of RM39! Woman! Where else are you going to be able to find such a good deal for a matte lipstick which feels like absolutely nothing on your lips? Your lips wont dry out, you'd look amazing all day long (provided you are skipping meals teehee) and you get to blow a kiss to your loved one without worrying about anything! I am definitely restocking my favs, Vivid Violet, Red Siren and Neon Nectarine, once they run out and I don't see what's stopping you to do the same. Go to your nearest Watsons outlet to make your purchase or contact your Mary Kay Independent Beauty Consultant today at 03-77117500 or you can even visit www.marykay.com.my.